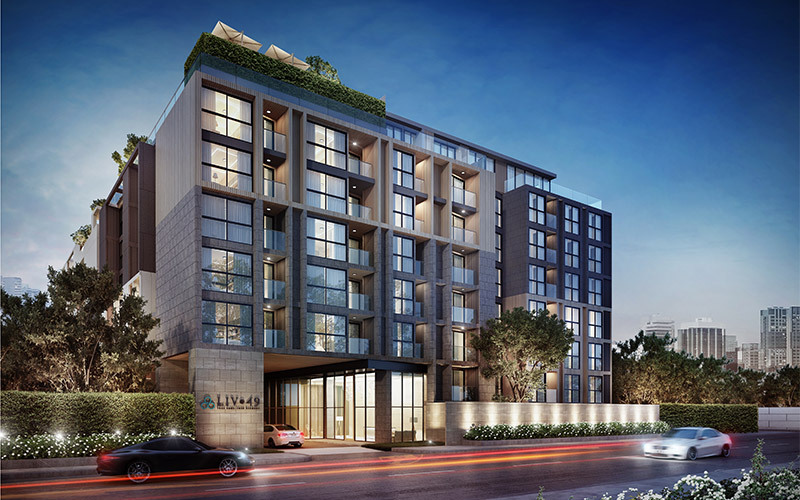 Lucky Living Properties has recently unveiled its new masterpiece, LIV@49, a low-rise boutique condominium located at one of the city’s best addresses on Sukhumvit 49. 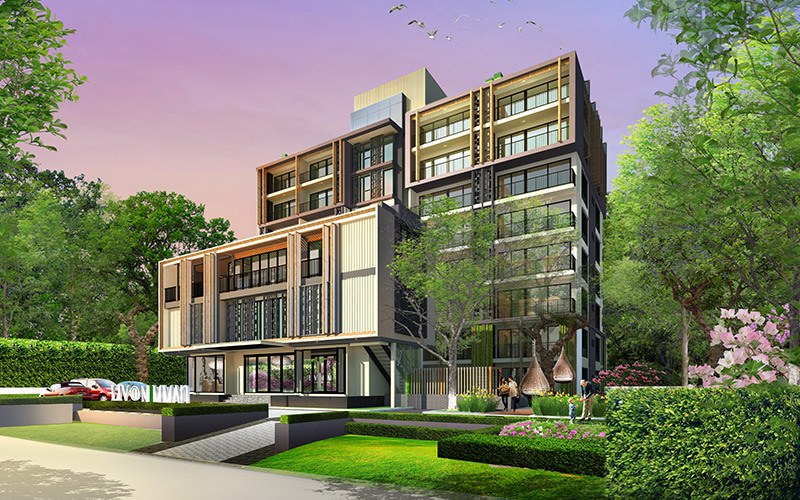 The 1.5 billion baht project features 209 fully furnished units with the highest quality fittings and priced on average at 150,000 baht per square metre. The highlight of this condominium is its location, only 180 metres from the entrance of Sukhumvit 49 and a 5-minute walk from Thong Lo BTS station. LIV@49’s architecture and interiors have been designed by the renowned Architects 49 (A49) and Interior Architects 49 (IA49). The services at Liv@49 easily match those of 5-star hotels, under the concept “Your Home, Your Harmony”. LIV@49 is set to attract high-end and expatriate consumers, with pre-sales starting in early October. LIV@49 on Sukhumvit 49 is worth over 1.5 billion baht and is one of the most conveniently located low-rise, fully-furnished condominiums in the area, featuring a range of 5-star services. The two buildings are both eight storeys high, have a total of 209 units, and are located on a plot of land measuring almost 2 rai. The room types include studios, 1-bedroom, 2-bedroom, 3-bedroom, 1-bedroom duplex, 2-bedroom duplex, 3-bedroom duplex and 3-bedroom penthouses with their own swimming pool and private roof garden. The units’ functional space ranges from 33 square metres to 145 square metres, with each unit fully equipped and fitted with furnishings of the same quality as a 5-star hotel. LIV@49’s target group is high-end consumers, businesspeople and expats who enjoy a city lifestyle and seek a convenient location near a BTS line, without compromising on exclusivity, the range of facilities and a relaxing atmosphere. Sukhumvit 49 is the most convenient location right in the heart of the city, surrounded by an array of amenities including hospitals, international schools, supermarkets and a variety of cafes and restaurants. Revive Zone: features a gym, swimming pool, a Sky Putting Green, a Sky Bar & Lounge and a Sky BBQ. Relax Zone: features an “onsen” Jacuzzi, a yoga room, a spa treatment room, a deck for star gazing, a picnic area and a reflexology garden. Rejoice Zone: connects the two buildings and offers an executive lounge, a library, a cinema/karaoke room, a multipurpose/events room, a kids’ club and the project office which manages the property and offers subletting services. LIV@49 will officially open for pre-sale in October.